The sample size is too small. The season is nearly over. His best moments happened in garbage time. But when you see the ball leave Austin Meadows' bat, you cannot help but wonder. Could he be the next one? to take an 11-3 victory over Toronto. The victory brought the Rays back to 19 games over .500 at 86-67 with nine games left to play. Meadows, obtained with Tyler Glasnow in the trade for Chris Archer, played in 49 games for the Pirates, but had just one at-bat with the Rays. But he had three singles after taking over the designated hitter role from Ji-Man Choi. That leaves even more anticipation for next season. Already, the Rays had promised Willy Adames, Jake Bauers, Brandan Lowe, Nick Ciuffo, Diego Castillo, Ryan Yarbrough and Yonny Chirinos. "It felt great to be able to come in and contribute to the team win," Meadows said. "You want to get the first one out of the way. Getting that first one was fun." 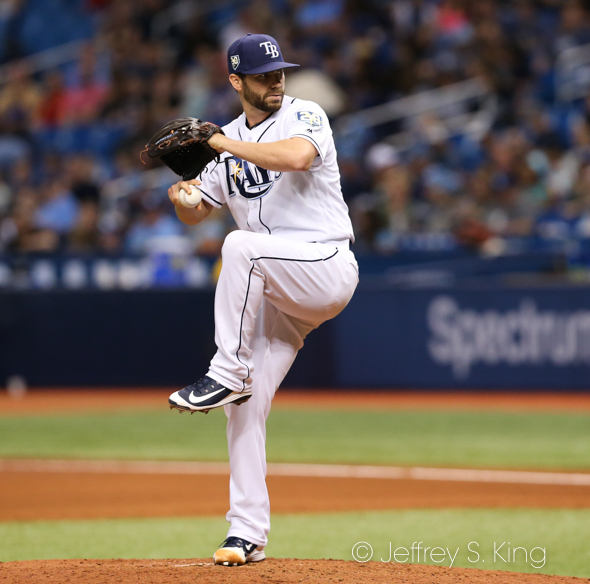 It was a fun night for the Rays, who had blown the previous night's game by allowing seven runs in the ninth to Toronto. "They don’t put their heads down," Meadows said. "It was a tough loss last night That’s baseball. That’s the way it goes sometimes. We played today and got a big win. That’s what it’s all about. It’s about bouncing back and kind of forgetting about yesterday and worrying about the next day." Rays' manager Kevin Cash agreed that erasing the day before was big. "We've got a bunch of guys who are quick to forget a loss," Cash said. "We’ve had two really tough losses -- the first night against Oakland was tough, and then last night. Last night was a little devastating because of the way it unfolded in the ninth inning. Again, they bounced right back and they put pressure on defense and pitchers right out of the gate." 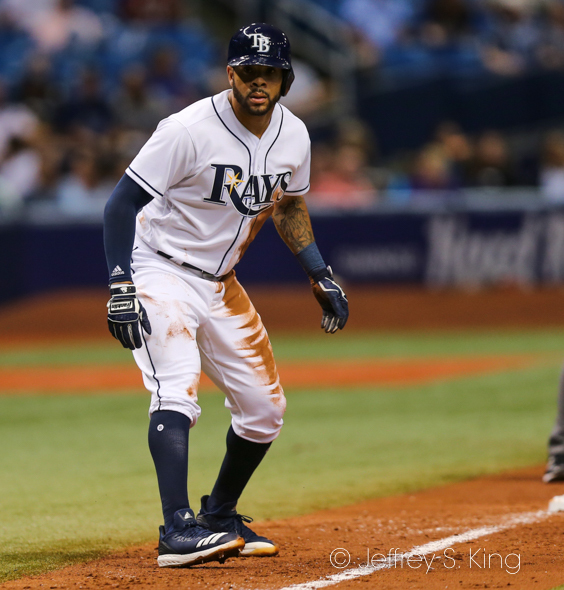 The Rays had 15 hits, including two by Choi and two by Tommy Pham. But some of the best plays were made by outfielders Mallex Smith and Kevin Kiermaier. "That's who they are," Cash said. "Mallex has made some huge strides this year toward being a really good fielder. I think there is comfort for him in right field. He went and got some balls today that, off the bat, you didn't think he was going to get to. We had three guys out there who have a lot of closing speed. The ball goes up and you think 'gap,' but they can run them down as good as anyone in baseball." 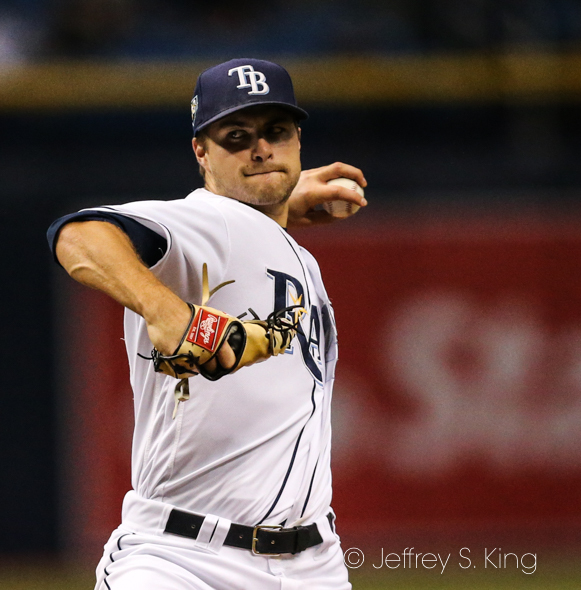 Jalen Beeks threw three innings to get the win, running his record to 5-1. The Rays play this afternoon at 4:07 p.m. at the Rogers Center. Tyler Glasnow will pitch or Tampa Bay against the Jays' Thomas Pannone. I don’t know about you but I want to see more of Austin Meadows. Let’s find a place in the lineup for him for the remaining games and see what he can do. These last few games should be all about auditioning for a spot on next year’s roster anyway. Go for it Rays. I could never figure out why he wasn’t up. In his time in Pittsburgh, he was a .290 hitter whose tools make people drool. I’d throw him in the outfield or at DH and watch him go. Next post: Ask Gary: Should Fitzpatrick keep the QB job?